No matter what stage of life you’re in, transitions can be hard. If you’re caring for a Veteran who’s transitioning from full-time care to living independently, you’ll probably find that newfound autonomy is both exciting and a little bit scary at the same time. While it’s empowering to gain more privacy and control of daily life, it can take some adjustment to feel comfortable and cared for. You may not always be able to be there to help, but the latest smart home technology can step in to help ease the transition. Here are some tools and best practices for helping vets live independently with a smart home safety net. When many people think of smart home technology, they tend to think of luxury features like digital wall displays and automated accent lighting. In reality, some of the best smart home features like smart thermostats, connected lighting, and motion sensors are both inexpensive and great for everyday tasks. Adding a few smart upgrades to a home can make everyday life around the house a lot easier for recovering Veterans. 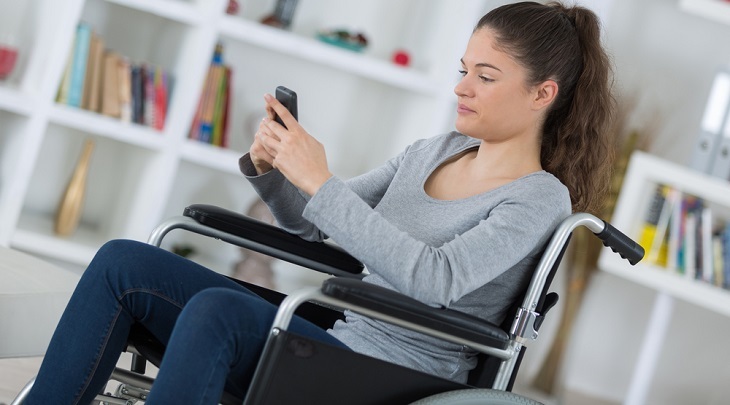 If your loved ones are recovering from an injury that makes it hard to get around, having simple home controls at their fingertips can be a huge relief on a daily basis. With smart lights and thermostats, they can avoid reaching for switches or trying to locate a hard-to-reach thermostat to adjust the temperature. Plus, these devices integrate with almost any smart home system and are easily adjustable from a tablet or smartphone. App-based controls are great, but voice-activated controls from a smart speaker or digital assistant can be even more convenient. Whether you use voice activation from a TV remote control, smartphone, or a smart speaker, you can use these devices for a variety of tasks. Whether it’s to see who’s at the door, turn on the lights, or even call for help in the event of an emergency, features abound. Adding an always-on voice assistant to the home of a Veteran can add another layer of convenience and peace-of-mind. When Veterans live alone again for the first time in a while, they may feel more comfortable if they know that their home or apartment is safe and secure. Traditional home security systems are always a great asset to have, but WiFi smart cameras and products like video doorbells can add an extra layer of awareness to their environment. Exterior-facing smart cameras are easy-to-install and give Veterans an always-available window to the outside of their homes. These cameras are great for tracking deliveries and watching for visitors, and their night-vision capabilities and motion-based recording make them great for general security purposes as well. If you live with a vet who is under your care, you may also consider WiFi camera inside the house for an additional level of safety. These cameras are great for home security while you’re away, and they’re also a valuable tool for you to check in as your loved one recovers from injuries or learns to move around the house with limited mobility. In the event of a fall or another medical emergency, you can check in at a moment’s notice and send for help if it’s needed. Whether you’re a Veteran who is looking to recover from home, or a caretaker looking for ways to take better care of a loved one, modern smart home solutions can help. You’ll find that they can make any home a better, safer, and more convenient place to live. About the author: Eric Murrell is a software developer and technology contributor to Xfinity Home. He enjoys sharing tips on how people can benefit from incorporating smart home automation and security in their homes on his blog At Home in the Future. A riveting read, I especially like the idea of “Smart devices help improve accessibility issues” using smart home technology. another aspect that we can’t ignore is nontechnical assistance given by service dogs. As you have pointed out in the previous articles, they are invaluable and irreplaceable. The St Hugh’s College is making scholarships available for 50 Disabled Veterans who are seeking to pursue a degree program in the College. Waivers will be available for a full undergraduate or postgraduate qualification, up to a maximum of 120 credits per seasonal academic year, 360 credits in total and not exceed £18,000. My direct deposit did not show up in my bank account today 9/28/18, is this normal? perhaps it will come on the first of the month? does anybody know the answer? Video Camera inside the home, exterior cameras, Doorbell Video and Voice Activated TV Control, etc.? I am a 24/7 Care Giver for Vietnam Vet with Frontal Temporal Dementia. He is 100% unemployable Military Relate Total Disabled. As technology advances we need to be sure they come with privacy and data protection. This is a great article as it highlights what is available and useful for many disabled veterans. I have been trying to find a solution for hearing impaired veterans that will let them know they have a phone call when their only phone is a cell phone. The VA does not seem to have any answer here and I’ve been trying for sometime to find one, any ideas for us? LED flash may help. Here are a few other suggestions in the article. You may want to call this Apple Support number to see if they have other ideas. If you have any Apple devices; iPad, iPhone, etc and have a problem with them and due to your age, disability, etc they have a dedicated accessible phone number just to help those of us who fall into this category. I use it often and can’t say enough good things about them. They are patient, walk you step by step how to fix a problem no matter how long it takes. Their phone number is: 877-204-3930.